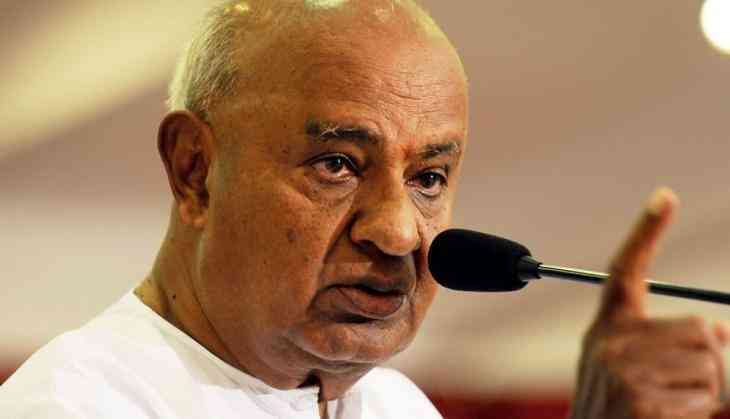 Former Prime Minister H D Deve Gowda has said the massive standoff between the Centre and the West Bengal government over the CBI's attempt to question the Kolkata Police chief in connection with chit fund scams, reminded him of the Emergency days. Ms Banerjee heads the TMC, a key member of the ''Mahagathbandhan'', the grand alliance, in which the JD(S) is also an active partner. "I am shocked to learn about the CBI rushing to arrest the Police Commissioner and subsequent developments in West Bengal. The country has faced similar kind of unconstitutional methods during the Emergency. Situation in WB is similar to that of the Emergency days. #SaveDemocracy," the JD(S) national president tweeted. The Congress's Karnataka unit too extended its support toeing the party line. It dubbed the Centre's action as anti-democratic and a threat to the federal system of the country.